Crafting fiendishly clever viral campaigns, exploring the limits of legality, frustrating censors, and taking the emotional pulse of the nation in raising the standard of longform narrative engagement; DDB Sydney's originality and energy has been at the heart of the action in 2018. 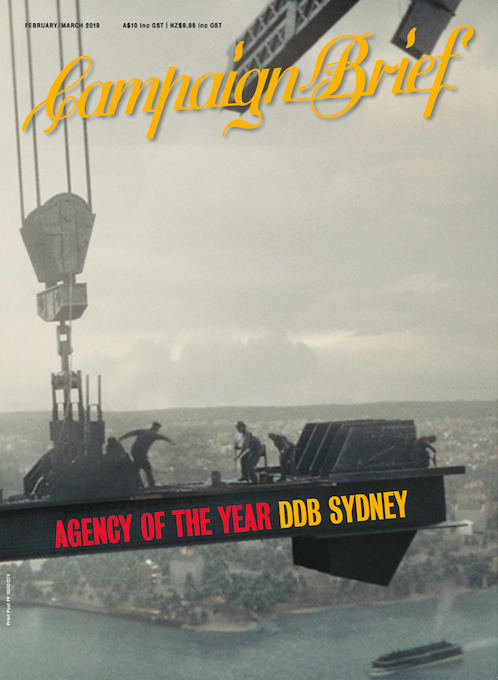 With a thriving portfolio of diverse, bold, provocative and boundary-challenging work, DDB Sydney is Campaign Brief's 2018 Australian Agency of the Year. 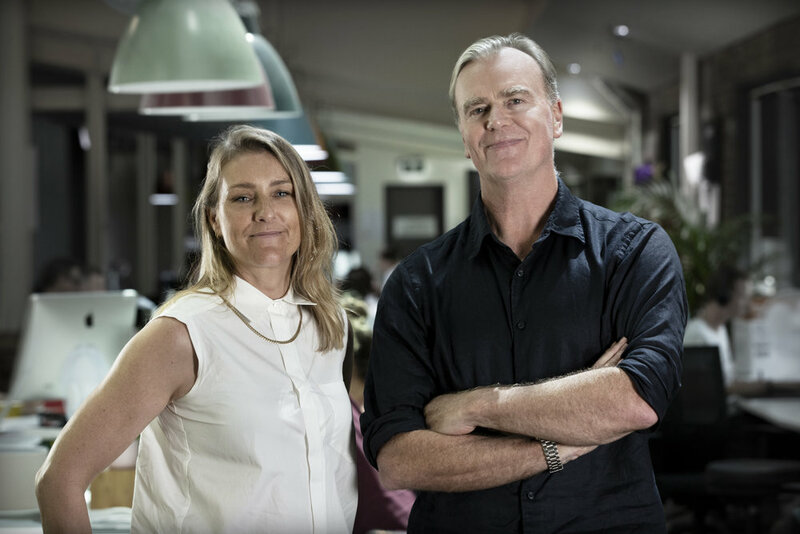 DDB Sydney has continued to prove its value to clients in 2018, demonstrating a fearless attitude and a creatively innovative approach to the problems inherent in big brands as the agency sought to engage with equally big problems. From exploring the themes of death and sacrifice for Westpac, to reimagining the creative possibilities of the standard auto TVC for Volkswagen, DDB Sydney has consistently remained an agency at the forefront of the industry, comfortably prominent in the headlines and in the award categories. Ben Welsh, chief creative officer, DDB Australia, is understandably proud of the work the agency has accomplished over the past 12 months. Says Welsh: "Not just because of the quality of the ideas, but because it was work for big, tough, real clients with big, tough, real problems. The brands ranged from utes to vans, cars, burgers, liners (not the ocean-going kind), cricket and banks - yes, in the year of the Royal Commission." Indeed, it has been a year of standout campaigns, just the right amount of notoriety, and an ongoing output of successful creative experimentation. Reflecting on how he feels the DDB Sydney brand defined itself and found new pathways for cultural resonance in 2018, Welsh says what he's most proud of is the fact that the agency did great work across a range of clients and often in difficult categories. Says Welsh: "Westpac stands out in the year of a Royal Commission; with Carefree's 'The Matriarchs' we found a new way to look at a well explored category, and with Polo 'UNfail' we had a low budget idea that gradually went gloriously mental. And of course, 'Too Powerful for TV' proved to be exactly that, doing a great job in generating Fame and Feeling." Volkswagen's 'Too Powerful for TV' TVC was a tongue-in-cheek experiment in stretching the boundaries of what's possible for an automotive commercial. The Amarok V6 is a powerful 4WD, but DDB Sydney opted not to follow the standard tired format of showing said vehicle cresting mountain peaks or racing wild horses along an exotic shoreline. Instead, the agency deliberately placed the Amarok in similarly unlikely and hazardous scenarios to the point of satire, and also to the point where they drew the wrath of the censors. The TVC was banned (the prohibition itself was responded to in a follow-up spot that found comedy in the frustrated artistic vision of a fictional director) and the ensuing notoriety ensured the spot's market penetration. The campaign became a huge success with $150 million in earned media. One of the elements that has distinguished DDB Sydney's work in 2018 has been the agency's willingness to experiment with form itself, even to the point where it provokes questions and a fresh appraisal of how brands might achieve market cut-through. This was demonstrated to powerful effect with a campaign such as Volkswagen Polo's 'UNfail'. Realising that the Polo's state of the art safety tech was not going to have a natural appeal for a younger demographic, DDB Sydney decided to present the product in the context of danger. The agency harnessed the culture and format of 'fail videos' online (low quality videos shot on phones in which people temporarily suspend their survival instinct and injure themselves while attempting ridiculous stunts) and produced a series of short videos which appeared to be faithful to the pseudo-genre of digital schadenfreude. The catch: the apparently imminent danger is averted at the last moment thanks to the powerful safety features of the Polo. Following a strategically savvy online leak and the video production appearing indistinguishable from the real thing, the 'UNfail' films instantly went viral, convincing many viewers and press alike that they were watching authentic 'fail' films. DDB Sydney managed to persuade the audience that they were not watching a car TVC. The innovative campaign, with an in-built viral momentum, scored an incredible 38 million views and $17.8 million earned media. Similarly cheeky and original was DDB Sydney's Big Mac 'Birthday Hack' campaign for McDonald's. With a brief to celebrate the beloved burger's 50th birthday, the agency decided to sign the sandwich up to hundreds of customer loyalty schemes for competing brands. The resultant automated 'Happy Birthday!' salutatory emails from these brands were then themselves turned into posters thanking the brands for their kind wishes. In essence, the 'Birthday Hack' was a campaign that generated its own content. Considering the internal culture and the collaborative dynamic that sets DDB Sydney apart, managing director Priya Patel assures "talented and nice" is a real thing at the agency. "People are open, hard working, non-political, and genuinely want to make the best work they can," she says. "We try to treat each other with some humanity and compassion - which sounds obvious - but is actually something that has to be protected, especially in this industry." Since taking the MD helm in July, Patel sees a progressive model and an open style of creative collaboration as distinct features of the DDB Sydney brand.